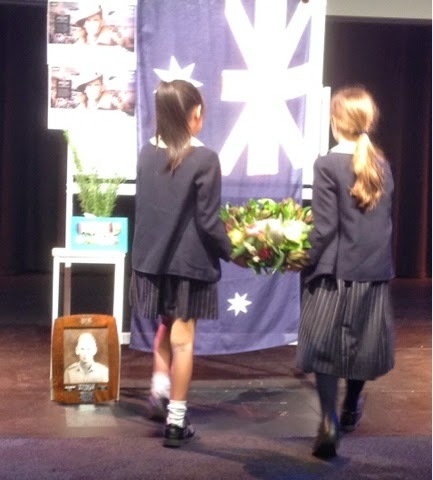 Today the Junior School celebrated 100 years of ANZAC by participating in an ANZAC Assembly. 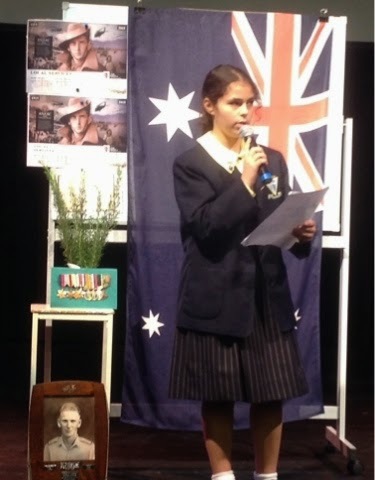 Several Year 6 students spoke solemnly about their relatives that fought in War. 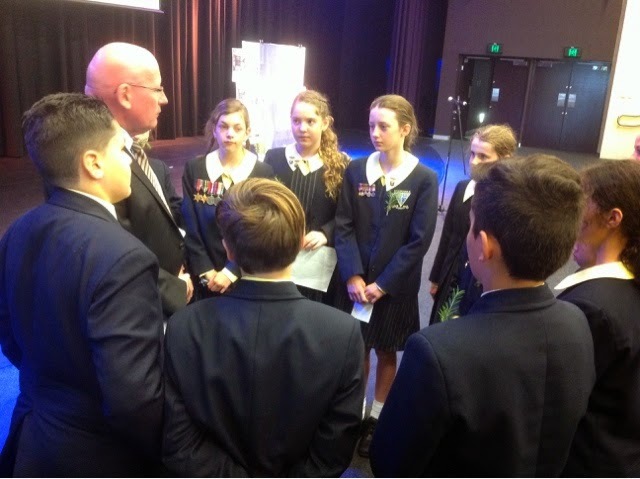 Kyle's great grandfather, Eddie Touhill, spoke to us about his experiences in WW2. This wreath will be taken to a Dawn Service tomorrow, 25th April. 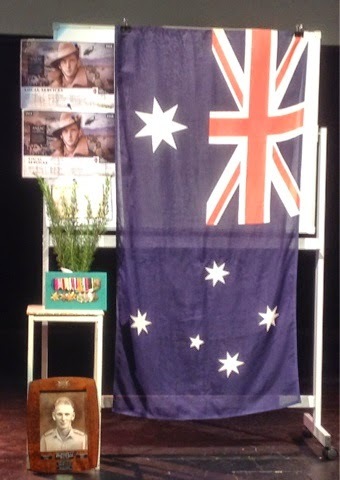 The Ode was recited by Kyle Brotherton. 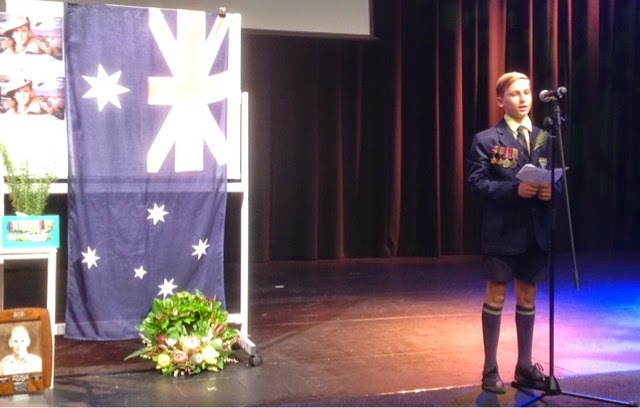 The Last Post was performed by a high school student. As a school we all took part in a one minute's silence to remember those who have fought for our country in wartime. The Rouse was then played to signal one minute. 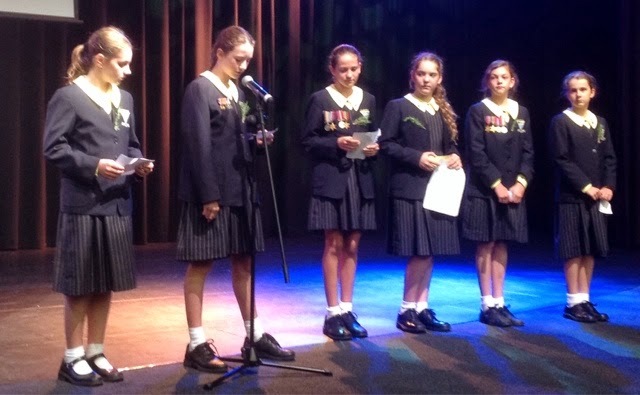 The majority of the assembly was run by Year 6. 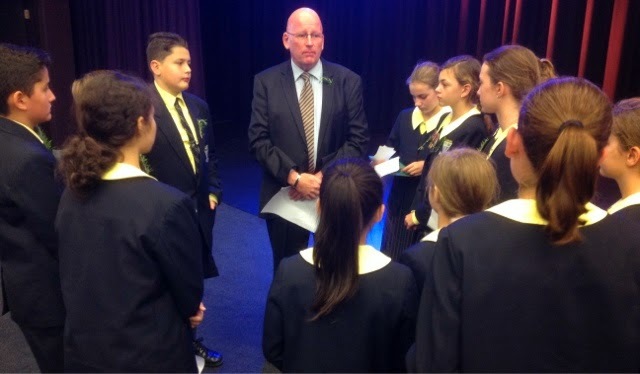 Mr Coote showed his gratitude and thanks to the Year 6 leaders. 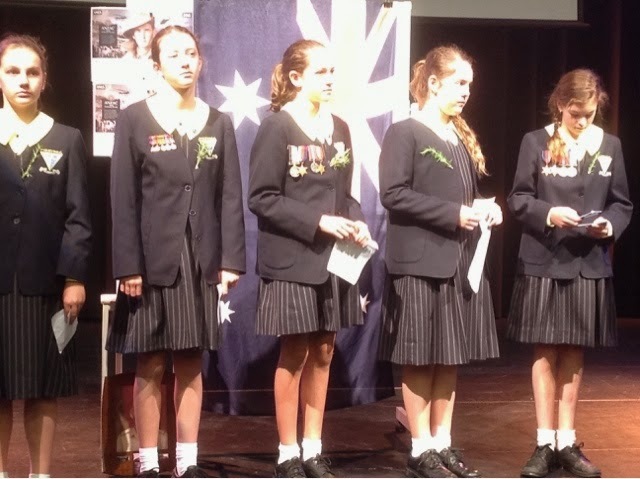 We all have a new understanding of ANZAC. 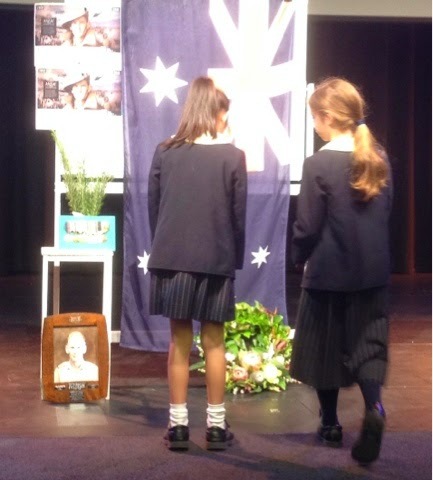 Thanks for organising such a lovely, touching service. It was the perfect way to reflect on the sacrifices made by so many of our relatives. Well done Year 6.